A complete guide to walking-on to a college football team. Are you being overlooked by college recruiters? Walk-onAthletes.com's goal is to open the lines of communication to help overlooked high school athletes play football beyond high school and earn a scholarship. There are many high school recruiting sites out there, but no other site caters to the majority of high school athletes, which are the athletes NOT receiving athletic scholarships. I understand how important it is for you to fully understand the process before you begin on this course, and I am here to help. You have stumbled upon one of the few web sites that encourage you to pursue your dreams and earn that college scholarship. The moment passed so quickly, so anonymously, that most of the college football world outside of the Bay Area probably barely took notice. Late in the first half of the annual Big Game between Cal and Stanford on Oct. 20, 2012, Stanford starting center Sam Schwartzstein’s helmet flew off. By rule, he was forced to sit out a play before re-entering the game. No big deal, right? For most of us, yes. For Conor McFadden, it was a huge deal. See, McFadden was Schwartzstein’s backup. And he was about to make his college football debut. Conor McFadden celebrates with teammates following the 2013 Rose Bowl. It was a moment of “wow,” of excitement, of validation. See, McFadden was a walk-on. And this was his college football debut. Overlooked by major college football programs while growing up in the Twin Cities area, he walked on at Stanford and carved out a role for himself, eventually earning a scholarship and putting himself on track for a degree in public policy. McFadden’s college football journey is not that of a heralded 5-star recruit, but it is no less important. His story, and those of others like him, like friend Robbie Lemons, a Stanford guard who clinched the Cardinal’s recent NCAA tournament upset of New Mexico with a pair of late free throws, are proof that college sports are about more than the superstars. The road less-traveled works too. McFadden’s road began in Sunfish Lake, Minn., a small Twin Cities suburb. He played high school football at St. Thomas Academy and was a first-team Minneapolis Star Tribune All-Metro selection and a second-team All-State selection, per the Associated Press. But he was also 6’2”, 250 pounds and didn’t exactly receive much attention from major college football programs. McFadden’s father, Mike, put a high premium on academics, and Conor was set to go to Princeton and play football there. But the Tigers had a coaching change in late 2009, which led him to re-examine his choice. His father received an email from Stanford, which had watched his highlight tape and was interested in exploring his status as a preferred walk-on. On that mid-January day, it was 65 degrees warmer in the Bay Area than the Twin Cities, which brightened McFadden’s mood immediately. “The combination of playing for a coach like Jim Harbaugh, who believed in me the moment I stepped on campus, and it being 60 degrees when I landed vs. negative-five when I took off sealed me,” he said. Stanford’s application deadline had already passed, and the help McFadden received in expediting the admission process was one of the only true favors he got as a preferred walk-on. He received no scholarship money, and NCAA rules did not allow him to receive any extra preference in applying for scholarships or grants. To earn the attention of Harbaugh and offensive coordinator/offensive line coach Mike Bloomgren, McFadden used his best weapon: his mind. He has a near-photographic memory and is a football savant capable of instantly diagramming plays on a sideline whiteboard. In college football, where teams are not allowed to use aerial cameras like NFL teams use to capture action from above and relay it to the sidelines, this is a very valuable skill. He traveled with the Cardinal and helped the offense discover defensive tendencies on the fly, leading to offensive success. “It helped me in terms of understanding the playbook,” he said. “Learning the playbook can be pretty complicated. If you don’t know the plays, you can’t be on the field. As a young player, I got a lot of reps even though I was nowhere near as talented as some of the other guys on the offensive line. I knew what to do and the play would get off. I might get beat on the play, but I’d try and do my job. Off the field, McFadden wasn’t treated any differently than a scholarship player. He was part of the team. Stanford has a strong walk-on culture. Eight players who walked on with McFadden were on the two-deep last fall. College football’s pay-for-play debate has received plenty of attention over the last year, and it went to a new level last week when the National Labor Relations Board ruled that Northwestern football players would be allowed to unionize, a decision that Northwestern is appealing. McFadden says he understands the anger leveled at the NCAA, but paying players isn’t the solution. Getting them better prepared for life after college is. Unionization, he said, “is going from the devil you know to the devil you don’t know completely,” noting that union members pay dues and students could be taxed for their earnings. In the most recent Graduation Success Rate (GSR) ratings released last fall, Stanford had a 93 percent rate, No. 5 nationally. Rival Cal had a 44 percent rate, the worst in any BCS league. Conor McFadden played in six games in his career and earned a Stanford scholarship. “Cal graduated less than 50 percent of their players. It’s an unbelievable school, a great school, one of our fiercest rivals. But you should never graduate less than 50 percent of your players. I’m very lucky, I took full advantage of my Stanford career with coaches and mentors. A lot of people didn’t have that same support system. McFadden truly appreciates the treatment he has received from Stanford and its coaches. The moment he experienced on Mother’s Day 2012 was truly gratifying. New coach David Shaw called him with some special news. He was being placed on scholarship. McFadden gave up his final season of college football to work on his father's Senate campaign. McFadden’s first play was fortuitous, too. His family (Conor is one of six children) had flown out for the big game and was in the stands at Berkeley. Getting in the game was McFadden’s own personal salvo at the Notre Dame and Minnesota recruiters who looked right past him, even if some of his family didn’t see the actual play. In his career, McFadden played in six games over two seasons. His father Mike is one of six candidates running for the Republican nomination to face incumbent Democrat Al Franken in the 2014 general election for one of Minnesota’s two U.S. Senate seats. Conor decided that he would take a one-year leave of absence from Stanford to work on his father’s campaign. He had a year of football eligibility left and could have challenged for a starting job this fall. However, leaving meant that his eligibility clock (players are given five years to play four, and Conor had already redshirted) would expire, ending his collegiate career. McFadden admitted he was worried about his team’s response, but he says the support has been extremely gratifying. He’ll be fighting a different kind of battle, helping shape his father’s policies and traveling across Minnesota speaking on his behalf. There is more to this story than just fulfilling a dream? Do yourself a favor and check out their individual salary levels..
Michigan left tackle Taylor Lewan is 6 feet 8 and 315 pounds. He’s a two-time All-American and is expected to be one of the top 15 picks in the upcoming NFL draft. 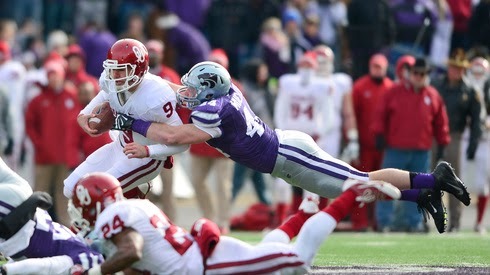 Kansas State defensive end Ryan Mueller is 6-2 and 245 pounds. He walked on to Kansas State and helped pay for his tuition with money he earned from his landscaping business. Their respective biographies would suggest Lewan will have the upper hand in Saturday’s Buffalo Wild Wings Bowl game at Sun Devil Stadium. Mueller, however, doesn’t see it that way. Mueller’s journey from walk-on to a junior season in which he had a team-high 11 1/2 sacks and was named Big 12 Defensive Lineman of the Year stretches credulity. He didn’t come out of nowhere; he was somewhere beyond nowhere. Mueller was the Eastern Kansas League Defensive Player of the Year as a senior at St. Thomas Aquinas High in Overland Park, Kan., but all that got him was a bunch of rejection letters from colleges, including his beloved Kansas, where his father Steve went to school and where he attended games as a child. Mueller was not an overnight success. He had total of 17 tackles and 2 1/2 sacks his first two seasons. But the lack of playing time and results wasn’t going to deter a young man who started his own landscape business when he was 12 years old and ran it through high school. That same work ethic and determination drove his success this season; Mueller finished tied for seventh in the country in sacks, but his coach and teammates were more impressed by the way he carried himself every day in practice. Mueller needs one more sack to break the single-season school record he shares with Nyle Wiren and Ian Campbell. Think Kansas regrets not offering him a scholarship? Q&A: How Old is Too Old for D1 Football? Hey, I stumbled on your site Googling this question, and for years.....unfortunately have searched for the answer...for myself. A lot of different hardships in my life are the only reason why, but what's life without dreaming right? I was just wondering, when are you too old to play d1 football? 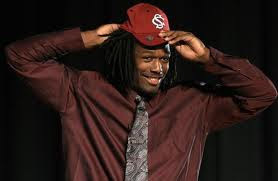 NCAA Signing Day Has Come and Past, Now What? Ok, so its been a couple weeks since signing day(ie a bummer of a day if you are reading this website). Trust me, I went through it my Senior year, everyone else was getting local and national attention for signing on a dotted line while I sat at home. Biggest question now is, what are you going to do about it? If this is something that derails you and you want to quit, then college football probably isn't for you. College football is full of speed bumps and challenges, and it is not easy. However, the reward will be well worth the sacrifice. So, get on it, start researching schools and sending out tapes and information to prospective schools. This is your time now, consider yourself a free agent and make the best of the situation. Burlsworth Trophy Finalists Announced Five players who began as walk-ons recognized for outstanding achievements on the field. FAYETTEVILLE, Ark., Dec. 1, 2010 – Today the Burlsworth Trophy committee announced the top five finalists for the inaugural Burlsworth Trophy award. The finalists include Sean Bedford, Georgia Tech; Josh McNary, Army; Nick Reveiz, Tennessee; Bryant Ward, Oklahoma State and Ryan Winterswyk, Boise State. Bedford, a 6-1”, 281-pound senior center, is on track for a second consecutive All-ACC season. He anchors a Yellowjackets’ offensive line that has paved the way for a rushing offense that ranks No. 1 in the ACC and NCAA. Ivy League schools were interested in Bedford primarily for his academic abilities. No Division I schools offered him a scholarship and he chose Georgia Tech for its engineering program. Sporting News named the aerospace engineering major one of the 20 smartest athletes in the nation. McNary, a 6-1”, 235-pound senior defensive end is among Army’s leaders with 41 tackles, including 12 for loss. His 9.5 sacks per game average ranks him in the Top 10 nationally this season. McNary is the all-time leader in sacks and tackles for loss at Army. He is fifth among active players in career sacks and career tackles for loss. Reveiz, a 5-10”, 224-pound senior linebacker, led the Volunteers with 94 tackles in the regular season, placing among the SEC’s most productive defenders. His six tackles for loss and two interceptions also placed him among the team leaders as Tennessee secured a bowl berth. Reveiz, who chose to walk on at Tennessee rather than take a scholarship at a smaller school, has enjoyed success beyond the field as well. He’s in line for a fourth SEC all-academic award and has earned his undergraduate degree in enterprise management. Ward, a 5-11”, 237-pound senior fullback, is a key component of an OSU offense that leads the Big 12 in yards, scoring, passing and rushing. The Cowboys are ranked second nationally in total offense, thanks in no small part to Ward, whose blocking and versatility earned him All-Big 12 recognition in 2009. Ward grew up in OSU’s backyard, but warranted only a walk-on offer. No other Division I teams sought his services, but he has since become a weapon on offense and special teams. Winterswyk, a 6-4”, 270-pound senior defensive end, leads the Broncos with seven tackles for loss. He has 2.5 sacks for the Broncos, who led the nation in sacks. A knee injury as a senior in high school limited Winterswyk’s college options, but Boise State granted his request to walk-on in 2007. He is now fourth on the school’s career tackles list and on pace to make a third consecutive all-WAC team. Winterswyk graduated with a degree in business management in May and is enrolled in graduate school. “All five of these young men show talent on and off the field and are great representations of what the Burlsworth Trophy is all about,” said Marty Burlsworth, founder and CEO of the Burlsworth Foundation. In honor of Brandon Burlsworth, former University of Arkansas walk-on and All-American offensive lineman, the award will be given to the collegiate player who began his career as a walk-on and has shown outstanding performance on the field. Nominees must have begun their first season of participation with a Division 1 (FBS) football program without financial aid of any kind from their athletic department. 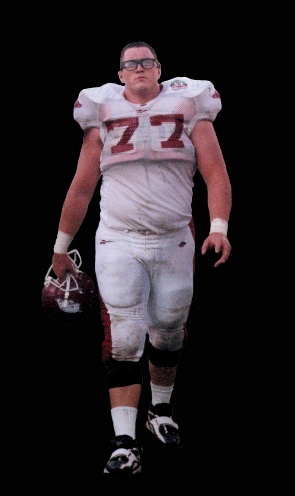 Without one Division 1 scholarship offer, Brandon Burlsworth walked on to the Razorback team in 1994, worked his way to being a three-year starter and was eventually named an All-American in 1998. Burlsworth was selected in the second round with the 63rd overall pick by the Indianapolis Colts in the 1999 NFL draft, but was tragically killed in a car accident 11 days later. The Burlsworth Foundation was created in his memory and supports the physical and spiritual needs of children, in particular those children that have limited opportunities. The winner of the Burlsworth Trophy will be announced on Dec. 15. A banquet will be held in honor of the winner on Feb. 7, 2011 in Springdale, Ark. hosted by the Springdale Rotary Club. Usually, finding any information about walk-on tryouts takes some digging. But, some programs, like the University of Michigan, make it easy to know where and when to earn your stripes. Hopefully, schools that you are interested make it this easy. 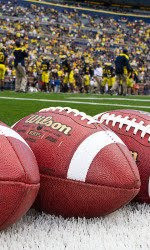 ANN ARBOR, Mich. -- All enrolled University of Michigan students interested in walking-on to the football team may register for fall tryouts at Schembechler Hall through Friday (Sept. 10), between the hours of 8:30 a.m. and 4:30 p.m.
Schembechler Hall is located at 1200 S. State Street, adjacent to the Yost Ice Arena. All those interested in registering must bring a copy of a physical taken within the last calendar year. The tryout will be held on Monday, Sept. 13 at 4:30 p.m. at Schembechler Hall. All students who register should bring their high school coaches' contact information, cleats and tennis shoes. Some college coaches allow student athletes without a scholarship to try out for their teams as a walk-on. Thomas Howard, who played football at the University of Texas at El Paso, was one such athlete. And after a year of proving himself, he was offered a scholarship. But Howard says the chance of pulling that off is small, even if a coach, looking to fill a roster, makes promises of a future secure spot. Amy Murphy-Wallace was a competitive swimmer with a top California club team. Not surprisingly, she hoped to land a college athletic scholarship before graduating from high school in 2000. But as one friend after another got recruited, her phone remained silent. So she decided to take matters into her own hands. Murphy-Wallace created a list of schools she was interested in, researched the phone numbers and e-mail addresses of the respective swim coaches, and made them aware of her accomplishments and her desire to join their team. "It was the best thing I could have done," she recalls. Her efforts eventually netted her a four-year scholarship at the University of Nevada. If you're among the country's elite high school athletes, especially in football or basketball, it's easier to catch the eye of some powerhouse university. But for thousands of other talented, hard-working athletes, attracting the attention of college recruiters can be a big-time challenge. Going unnoticed doesn't necessarily mean you're unwanted. It just means you have to work a little harder — and smarter. Many companies promise to boost athletes' profiles and make them more visible to college coaches, but the professional touch isn't always warmly received. "If the athlete or the service they hired didn't take the time to do a little bit of research on our program or university, then they're not as interested as I need them to be," says Mike Mominey, athletic director and head baseball coach for Nova Southeastern University, a Division II school in Fort Lauderdale, Fla. Going overboard with self-promotion, he adds, can cross the fine line between persistence and annoyance. To raise awareness of your athletic prowess and also save money in the process, Mominey and other college coaches recommend going the do-it-yourself route. It's not that a professional service can't help, they say, but students need to be actively involved from the get-go. The first step, not surprisingly, is to do well in school. "When coaches hand out scholarships, they don't want the student sitting on the bench because they don't have the grades [to play]," says Penny Hastings, co-author of How to Win a Sports Scholarship. A coach is more apt to award a scholarship to an athlete with a 3.2 GPA than one with a 2.5, she adds, because the better grade shows higher potential. Additionally, NCAA rules limit the number of scholarships a school can hand out. Nova's baseball team, for example, has 32 players, but Mominey can offer only nine full scholarships. Strong academics can help athletes qualify for other scholarships a college might offer. The next step is to build solid athletic fundamentals. "You're talking about something most kids have to work at three hours a day if they even want a chance at a scholarship," says Steve Adams, who helps run Triumph Basketball, a spring and summer sports league in the Dallas area. If you're not among the top echelon of athletes, he notes, then coaches look for solid skills and signs of a good work ethic — colleges want to get their money's worth if they're going to cover tuition. After preparing yourself mentally and physically, the third step is to find a school that's right for you. "It's matchmaking — finding a school where you can get the most out of your college experience in the classroom and on the field," says Fran Fraschilla, a basketball analyst for ESPN and a former Division I coach. Having several choices will improve your odds of landing a scholarship. Caden Dickerson, a college basketball star from Argyle, Texas, started with a list of over 20 colleges and eventually received a scholarship from Western Kentucky University. "The first time I noticed Western was in the NCAA tournament a couple of years ago," Dickerson says. "I looked to see where everyone was from, how old they were, when they were graduating. Once I did some research on the school's history, the education, I liked it more and more." For many skilled athletes who feel overlooked, investing time in research can be the difference maker. "It's definitely difficult not being the best in the sport," says James Leabman, a senior and nose tackle at Needham High School in Needham, Mass. "I'm a little bit undersized [and] scouts don't necessarily come here, so I have to do my own work." Research not only helps a student identify and prioritize choices, Mominey says, it also makes a prospect look better to a coach: "If I get an e-mail from a high school catcher who knows I've got three senior catchers, that impresses me, because Nova will need a catcher." While coaches can get inundated with solicitations from athletes, they want to hear directly from students. "I love that," says Rhonda Riley, assistant cross-country and track coach at Vanderbilt University in Nashville, Tenn. "That shows they're interested. It goes a long way." When making contact with a college coach, present all relevant information succinctly, including performance stats, GPA, and SAT scores, Riley suggests. Offer to send links to online video clips that show you in action, but be sure the clips highlight skills that address the full demands of the sport. Also, visit NCAA.org to learn the rules on recruiting and athletic scholarships — and make smart use of your knowledge. For example, rules often prohibit a coach from contacting a high school prospect, but that doesn't mean the school isn't interested. As Murphy-Wallace puts it, "I gave the University of Nevada a reason to want to have me on their team." Do the same with the school of your choice, and scholarship dollars just may follow. Hi Evan, My name is John Smith. I'm a prospective walk-on kicker, and I've got my first summer workouts this week, I contacted the coaches via email and exchanged several there-after in January, and met with them again in April. I'm a Freshman at XYZ College in Random City, USA. When I got to campus, I contacted the coaches again and he got me with their starting kicker. He's getting me his workout schedule today or tomorrow. I am SUPER nervous. I can hit from 45 regularly using a 3/4 inch block and 50 probably 1/4 of the time. I found your site after looking for help and advice online. Any tips you have about expectations that the team will have of me, how I should present myself, and how to interact with other players would be great. along with anything else you think would be useful. Thanks for the email, sounds like youve really thought this through, which is important. Here is the best advice I can give, which is what lead me through my first year or two.. Go in there with your head down and be ready to work, do what is asked of you, and work as hard as you can.. Dont go in there feeling entitled or having grand expectations, just act as if youre happy to be there. But, do go in there with confidence and high energy, just dont come in all cocky and rub people the wrong way. More or less, dont be THAT guy, and youll be fine..Earn your teammates respect by performance, and do all you can to stay out of trouble, because as a walk-on, you are expendable because the program does not have an investment in you, so dont give them a reason to cut you.. Writing this type of email and thinking it through makes me think that youll be fine, just get ready to enjoy the experience, because it will be the best time of your life. If you have any questions, comments, advice, stories, etc, please feel free to post a comment or question.